With one queen bed and one full bed this room has a maximum occupancy of 4 persons. These room have a small table and chairs for dining. 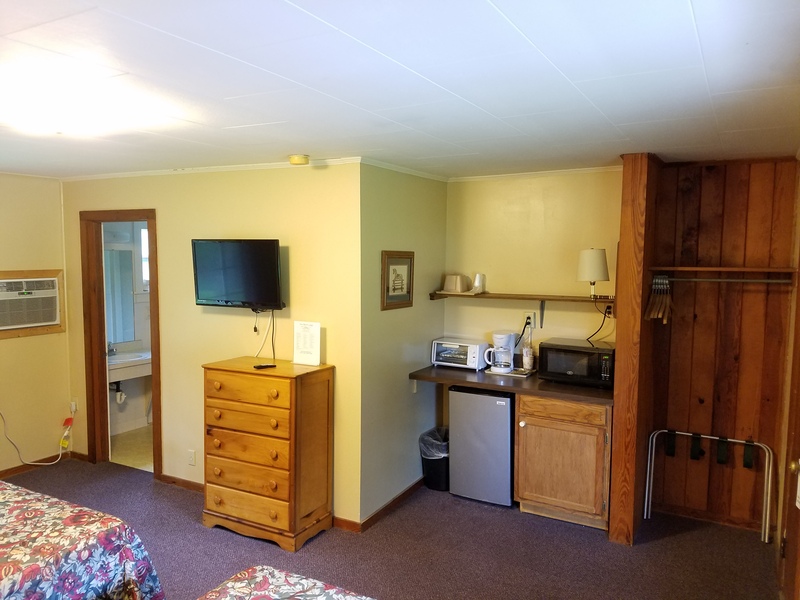 All rooms have a refrigerator, microwave and coffee maker. 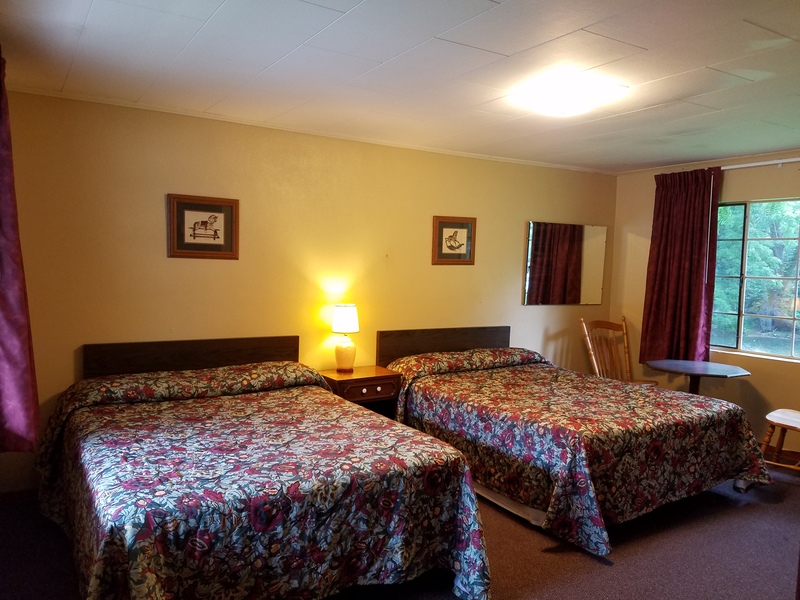 All rooms have a front porch with chairs and a table to enjoy the mountain air. 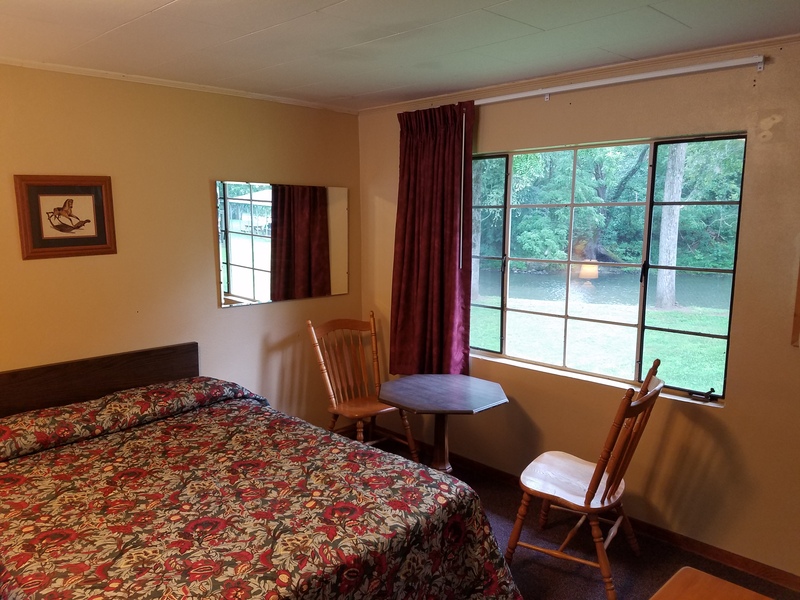 These rooms have a beautiful view of the Oconalufte river and our riverside park. 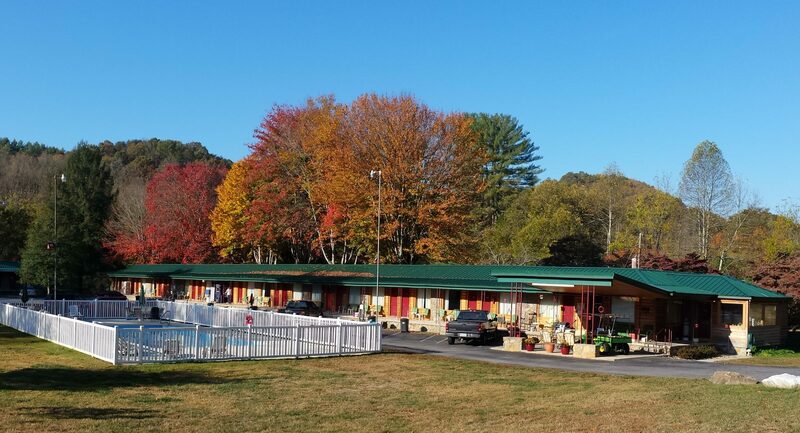 You can reserve with us directly by phone at 828-488-2284 or online through Booking.com by using this button.